Rebif has immunomodulating, antiviral and anti-proliferative properties. The protein structure of the drug Rebif (interferon beta-1a recombinant human) is a natural amino acid sequence of human interferon beta, obtained by genetic engineering using a culture of Chinese hamster ovary cells. The mechanism of action of Rebif in the body of patients with multiple sclerosis is not fully understood. 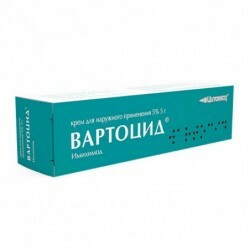 It is shown that the drug helps to limit damage to the central nervous system underlying the disease. The mechanism of action of Rebif in patients with multiple sclerosis is not fully understood. It has been shown that the drug helps to limit the damage to the central nervous system underlying the disease. When using Rebif at the recommended dose, a decrease in the frequency (30% over 2 years) and severity of exacerbations in patients with two or more exacerbations during the last 2 years and with a rating from 0 to 5 on the expanded scale of disability assessment (EDSS) before start of treatment. The proportion of patients with confirmed progression of disability decreased from 39% (placebo) to 30% and 27% (Rebif 22 μg and 44 μg, respectively). After 4 years, the average reduction in the number of exacerbations was 22% and 29% in patients who received Rebif 22 mcg and Rebif 44 mcg, respectively, compared with the group of patients who received 2 years of placebo, and then Rebif 22 mcg and Rebif 44 mcg. In a 3-year study in patients with secondary progressive multiple sclerosis (3-6.5 on the EDSS scale) with significant progression of disability over the previous 2 years and the absence of exacerbations during the preceding 8 weeks, Rebif did not have a significant effect on disability, but the frequency exacerbations decreased by 30%. When two groups of patients were identified (with and without exacerbations during the previous 2 years), the effect of the drug on the progression of disability was not found in the “no exacerbations” group, while in the group with exacerbations the proportion of patients with progression at the end of the study decreased from 70% (placebo) to 57% (Rebif 22 mcg and Rebif 44 mkg). Rebif's effects have not been studied in primary progressive multiple sclerosis. Treatment of remitting multiple sclerosis. The drug was not effective in patients with secondary progressive multiple sclerosis in the absence of exacerbations. Excipients: mannitol - 22.5 mg, benzyl alcohol - 2.5 mg, methionine - 0.06 mg, poloxamer 188 - 0.25 mg, sodium acetate buffer solution 0.01 M (sodium acetate, acetic acid, sodium hydroxide (to bring to pH), water d / and) - up to 0.5 ml. Treatment is recommended to begin under the supervision of a physician with experience in treating this disease. The drug is injected s / c.
Adults and adolescents over the age of 16, the recommended dose of the drug is usually 44 mcg 3 times a week. In case of insufficient tolerability of this dose, Rebife is prescribed at a dose of 22 μg 3 times a week. Adolescents aged 12 to 16 years, the drug is prescribed, usually at a dose of 22 mg 3 times a week. The drug should be used at the same time (preferably in the evening), on certain days of the week, with an interval of at least 48 hours. Rebif can be used only if the solution of the drug is clear or slightly opalescent and if it does not contain foreign particles. During the first 2 weeks, Rebif should be administered at a dose of 8.8 mcg (0.2 ml of the preparation with a dosage of 0.5 ml / 22 mcg or 0.1 ml of the preparation with a dosage of 0.5 ml / 44 mcg), and for 3 and 4 weeks - at a dose of 22 mcg (0.5 ml a preparation with a dosage of 0.5 ml / 22 μg or 0.25 ml of a preparation with a dosage of 0.5 ml / 44 μg). For the initial dose of the drug during the first 4 weeks of treatment, syringes or cartridges should be used, since syringe pens are not intended for this purpose. When prescribing Rebif in a dose of 44 mcg, starting at 5 weeks, 0.5 ml of the drug is injected at a dosage of 0.5 ml / 44 mcg. If necessary, to reduce flu-like symptoms associated with the prescription of Rebif, prior to the start of the injection and within 24 hours after each injection, it is recommended to prescribe an antipyretic analgesic. Currently there are no clear recommendations on how long the treatment should be carried out. It is recommended to evaluate the condition of patients at least every second year during the first 4 years of treatment with Rebif, the decision on longer treatment should be made by the attending physician for each patient individually. during treatment, inform your doctor about any health problems. Rebif should be a clear or slightly opalescent solution, without visible foreign particles. If the patient has detected the presence of foreign particles in the solution or there are doubts as to the quality of the drug, it should not be used. In such cases, the patient should contact the attending physician or nurse. The physician should advise the patient how to select a possible injection site (convenient areas are located in the upper thigh or in the lower abdomen). It is recommended to alternate injection sites, avoiding frequent injections in the same place. Do not inject the drug in areas where swelling, hard nodules or pain are felt; the patient must inform the doctor or nurse about the presence of such sites. If an injection is missed, the introduction should continue, starting with the next injection on the schedule. Do not enter a double dose of the drug. The first injection of the drug is recommended under the supervision of a qualified medical professional. 1. Wash hands thoroughly with soap and water before injecting. 2. Remove the syringe with Rebif from the package. 3. Wipe the skin at the injection site with an alcohol wipe and allow the skin to dry. If the alcohol partially remains on the skin, then a burning sensation is felt. 4. Gently squeeze the skin around the selected location so as to slightly lift it.Pressing the wrist to the skin near the site, you must insert the needle at right angles into the skin with a quick and firm movement. The syringe should be held like a pencil or dart. Introduce the drug by slow and constant pressure (press on the piston until the syringe is empty). For convenience, corresponding divisions (graduations) are applied to the syringe. 5. Remove the needle from the skin. Clamp the injection site with a swab. 6. Lightly massage the injection site with a dry cotton ball or gauze. 7. Throw away the used syringe. The remaining drug in the syringe can not be further used. Determination of the frequency of adverse reactions: (≥ 1/10), often (≥ 1/100, <1/10), infrequently (≥ 1/1000, <1/100), rarely (≥ 1/10 000 <1/1000) , very rarely (<1/10 000). Below are summarized data obtained in clinical studies in patients with multiple sclerosis during the first 6 months of treatment compared with placebo. Infections and invasions: infrequently - post-injection abscess. On the part of the hematopoietic system: very often - neutropenia, lymphopenia, leukopenia, thrombocytopenia, anemia. On the part of the endocrine system: infrequently - hypo-or hyperthyroidism. From the nervous system: very often - a headache. Mental disorders: often - depression, insomnia. From the skin and subcutaneous tissues: often - itching, rash (including erythematous and maculo-papular). On the part of the musculoskeletal and connective tissues: often - myalgia, arthralgia. General reactions: very often - flu-like symptoms; often - fatigue, chills, fever. Flu-like symptoms (headache, fever, chills, muscle and joint pain, nausea) are observed in approximately 70% of patients during the first 6 months of treatment and decrease with continued therapy. Local reactions: very often - inflammation at the injection site, reactions at the injection site (for example, bruising, swelling, redness); often - pain at the injection site; infrequently - necrosis at the injection site. Reactions at the injection site are observed in approximately 30% of patients, usually expressed slightly and are reversible. From the laboratory parameters: very often - asymptomatic increase in the concentration of transaminases in the blood; often - significant (> 5 times higher VGN) increase in the concentration of transaminases in the blood. The frequency of these reactions is unknown, most likely from “infrequently” to “very rarely”. Infections and invasions: infection at the injection site, incl. inflammation of the subcutaneous tissue. On the part of the blood coagulation system: thrombotic thrombocytopenic purpura, hemolytic-uremic syndrome. Nervous system disorders: convulsions, transient neurological symptoms (hypoesthesia, muscle spasms, paresthesia, difficulty walking, muscle stiffness), which can mimic the worsening of multiple sclerosis. Since the cardiovascular system: thromboembolic disorders. On the part of the respiratory system: shortness of breath. On the part of the organ of vision: damage to the retinal vessels (ie, retinopathy, "cotton spots" on the retina, obstruction of the artery or vein of the retina). From the skin and subcutaneous tissues: erythema multiforme and skin-like reactions, Stevens-Johnson syndrome, alopecia. Allergic reactions: angioedema, urticaria, anaphylactic reactions. On the part of the liver and biliary tract: liver failure, hepatitis (with or without jaundice). While maintaining adverse reactions for a long time or in the case of severe adverse reactions at the discretion of the physician, a temporary dose reduction of the drug or interruption of treatment is allowed. The patient should inform the physician of any adverse reactions. Hypersensitivity to natural or recombinant interferon beta, to other components of the drug. Special clinical studies on the interaction of the drug Rebif with other drugs have not been conducted. It is known that in humans and animals, interferons reduce the activity of cytochrome P450 isoenzymes in the liver. Therefore, it should be carefully prescribed Rebif along with drugs that have a narrow therapeutic index, the clearance of which largely depends on the activity of this enzyme system, for example, with anticonvulsants and some antidepressants. A systematic study of the interaction of the drug Rebif with corticosteroids or ACTH has not been conducted. These clinical studies indicate the possibility of patients receiving multiple sclerosis Rebif and corticosteroids or ACTH during exacerbations of the disease. Use of Rebif during pregnancy and lactation (breastfeeding) is contraindicated. Women of childbearing age should use effective contraception. Considering the potential danger to the fetus, when planning a pregnancy or during a pregnancy occurring during the treatment, the patient should always inform the attending physician about it in order to decide on the cancellation of therapy. Data on the allocation of interferon beta-1a with breast milk are not available. Given the likelihood of serious adverse reactions in newborns, if you need to use the drug during lactation, breastfeeding should be stopped. Precautions should be prescribed to patients with depression. Such patients during the period of treatment with Rebif require careful medical supervision and conditions ensuring the provision of the necessary assistance to them. In some cases, it may be necessary to discontinue interferon beta treatment. Patients should be warned that they should immediately inform the doctor about any symptoms of depression and / or the appearance of suicidal ideation. Care must also be taken when prescribing interferon beta-1a to patients who have previously experienced seizures, patients receiving anticonvulsants, especially if they are not effective enough. When Rephife convulsions occur during treatment with patients who have not previously suffered from such disorders, it is necessary to abolish Rebif, establish the etiology of convulsions and prescribe anticonvulsant therapy before resuming Rebif treatment. In the early stages of treatment with interferon beta-1a, strict monitoring of patients suffering from cardiovascular diseases, such as angina, congestive heart failure and arrhythmias, is necessary. This observation should be aimed at the timely detection of possible deterioration. In heart diseases, flu-like symptoms associated with interferon beta-1a therapy may complicate the condition of patients. There are isolated reports of necrosis at the injection site. In order to minimize the risk of necrosis, strict observance of the rules of asepsis during the injection and constant change of injection sites are necessary. If there is damage to the skin with swelling and discharge of fluid at the injection site, the patient should consult a doctor before continuing to administer the drug. In case of multiple skin lesions, the drug should be withdrawn before they heal. In the case of a single lesion, Rebif therapy can be continued, provided that the lesion is moderately expressed. In clinical trials, an increase in liver transaminase activity, especially ALT, was observed. In the absence of clinical symptoms, it is necessary to control the plasma ALT level prior to the start of therapy with Rebif and repeat after 1, 3, and 6 months, as well as periodically during further treatment. It is necessary to reduce the dose of the drug, if the level of ALT exceeds 5 times VGN, and gradually increase the dose after its normalization. Care must be taken when prescribing interferon beta-1a in patients with severe liver failure in history, with signs of liver disease, with signs of alcohol abuse, ALT levels 2.5 times higher than VGN. Therapy should be discontinued when jaundice or other symptoms of abnormal liver function occur. Rebif, like other interferons beta, can potentially cause serious disorders of the liver, up to and including acute liver failure. The mechanism of these conditions is unknown, specific risk factors have not been identified. 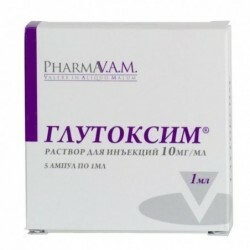 In addition to laboratory tests, which are always carried out in patients with multiple sclerosis, it is recommended in the 1st, 3rd and 6th months after the start of therapy with Rebif, as well as periodically, in the absence of clinical symptoms, during further treatment clinical analysis of blood with the definition of leukocyte blood count, platelet count, as well as conduct biochemical blood tests, including liver function tests. Patients receiving Rebif sometimes develop or aggravate thyroid dysfunction. It is recommended to conduct a study of the function of the thyroid gland immediately prior to the start of treatment and when violations are detected - every 6-12 months from the moment of its onset. If before the start of treatment, the thyroid gland function is normal, then periodic studies of its function are not required, but they should be carried out when clinical signs of thyroid dysfunction appear. In patients receiving interferon beta, the formation of neutralizing antibodies is possible. Their clinical significance has not been established. If there is not a sufficiently good therapeutic response to therapy with Rebif, and this is due to the persistent presence of neutralizing antibodies, then the physician should evaluate the feasibility of continuing interferon therapy. Caution should be exercised in the appointment of the drug to patients with severe renal failure and myelosuppression. The safety profile of adolescents aged 12 to 16 years who receive Rebif at a dose of 22 μg n / a 3 times a week is similar to that of adult patients. Adverse reactions from the central nervous system to interferon therapy may affect the ability to drive vehicles and equipment. With the introduction of more than the prescribed dose, the patient should immediately inform the attending physician. If necessary, in the event of an overdose, the patient should be hospitalized for further observation and maintenance therapy. 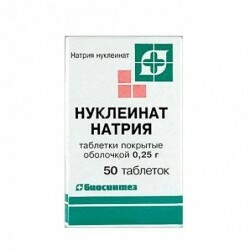 Dosage form: Rebif, solution for subcutaneous injection, slightly opalescent, light yellow in color.